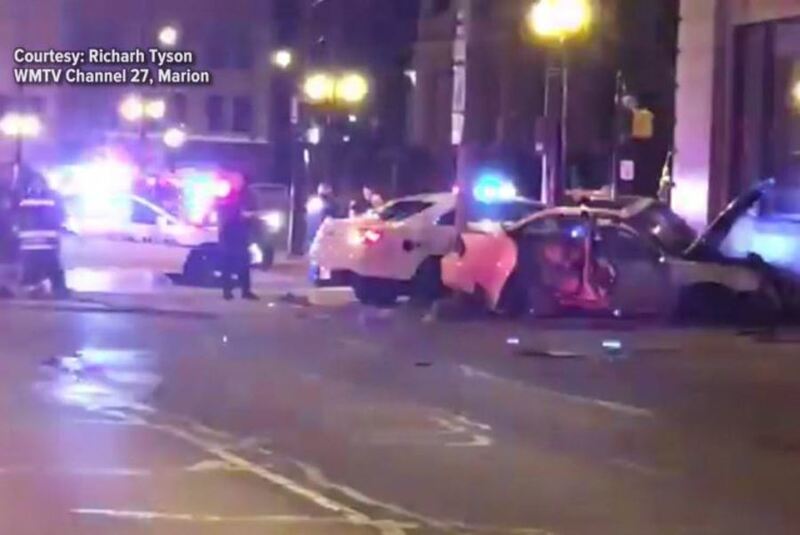 MARION-- An 18-year-old woman is dead and another person was critically injured after a crash involving a Marion Police Department officer responding to a call late Friday night. Indiana State Police say Officer Brian Davis, 45, had his lights and sirens on while responding to help another officer with a traffic stop when the accident happened at the intersection of Third and Washington streets. Initial crash investigation shows that Payton Rogers, 18, pulled into the path of Davis' car and that Davis had the right-of-way with a green traffic light. Rogers was pronounced dead at the scene. Her passenger, Baleeve Gregory, 18, was flown to a Fort Wayne Hospital to be treated for a serious head injury. She was last listed in critical condition. Davis was taken to Marion General Hospital with non-life threatening injuries. The crash remains under investigation by Indiana State Police. Both Payton and her passenger were seniors at Marion High School. Rogers was an honor roll student who completed 21 college credits. She wanted to be a forensic pathologist and was set to graduate high school in a few weeks. Marion Community Schools issued the following statement Saturday afternoon. Marion Community Schools is terribly saddened to hear of the tragic crash that claimed the life of a member of Marion High School's Class of 2018. We wish to express sincere condolences to the family of Payton Rogers, a senior at Marion High School, and our thoughts are with the family of Baleeve Gregory, also a senior, as we fervently hope for her recovery from the injuries she suffered in the crash. Counseling will be available in the coming days at the school for students and staff. We also encourage students in need of help to reach out to any adult at their school building.